Container Service simplifies establishment of container management clusters and integrates Alibaba Cloud virtualization, storage, network, and security capabilities to create the optimal container running environment on the cloud. This article summarizes the presentation at the Yunqi Community Director's Course and shares some practical tips and development trends of the Cloud Native technology. We will look at how Alibaba Cloud supports serverless container application scenarios with Container Service for Kubernetes and Elastic Container Instance. Alibaba Cloud serverless Container Service for Kubernetes now supports mounting elastic IP addresses with pods. This article describes how to rapidly construct a GPU monitoring solution based on Prometheus and Grafana on Alibaba Cloud Container Service for Kubernetes. In this tutorial, we'll discuss emote direct memory access (RDMA) is developed to handle the latency of data processing on servers during network transmission. This document analyzes the internal health check logic of the Nginx Ingress Controller so that the Nginx Ingress Controller can be efficiently monitored. In this article, we discuss the phased release of application services through a Kubernetes ingress controller of Container Service. This article describes how to deploy multiple sets of independent Nginx Ingress Controllers in a Kubernetes cluster of Container Service to provide access to different services. This article describes how to import the collected Kubernetes Ingress Controller logs to Log Service to facilitate retrieval and analysis of service requests. 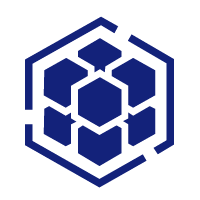 This article describes how to deploy an Ingress access layer that provides high performance, availability, and reliability on Container Service for Kubernetes. This article describes how to configure the Ingress Controller of Container Service for Kubernetes to use an intranet SLB instance. In this article, we will show you how you can grant access to gRPC services through Alibaba Cloud Container Service for Kubernetes Ingress Controller. In this article, we will show you how you can perform auto scaling of Alibaba Cloud Container Service Kubernetes clusters based on GPU metrics. In this article, we will configure constraints on container resources to ensure that resources are fully utilized for optimal resource utilization and for stable operation. In the third article of this series, we will explore how we can handle dependencies between services when using Kubernetes. In the second article of this series, we will discuss how to improve container resource visibility when using Kubernetes with LXCFS. In the first article of this series, we look at some of the common misconceptions about restrictions on Java application resources when using Kubernetes. Alibaba Cloud deep learning tool, Arena, helps data scientists run deep learning on the cloud without having to learn to manipulate low-level IT resources. Alibaba Cloud's Serverless Kubernetes service is intended to lower entry barriers for using container technology and simplify the operations and maintenance of container platforms.